Calling all Montana guides and outfitters who are interested in taking their knowledge and services to a new level with the completion of the Guiding for the Future course which begins it's first session next month. 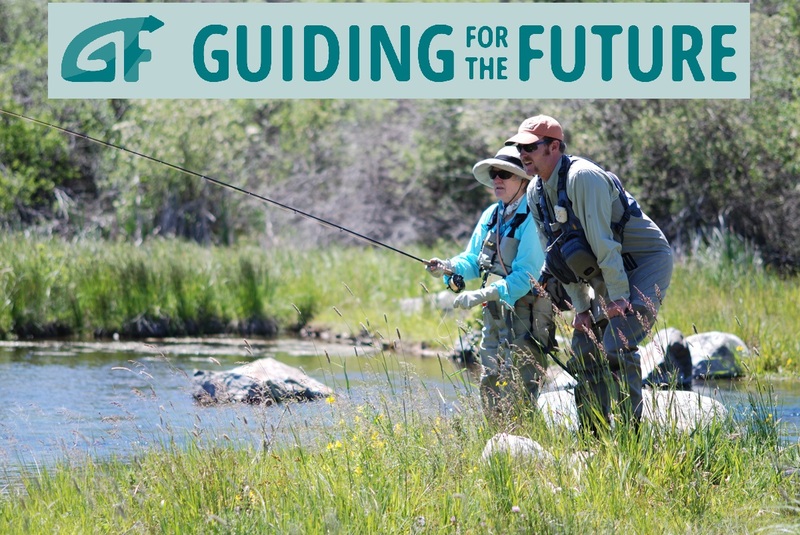 Guiding for the Future has been created by the Fishing Outfitters Association of Montana with a focus on the core values of knowledge, professionalism, ethics and stewardship. Background Montana’s rivers are undergoing increased demands for water, recreation, and environmental services. These demands, in the face of increased periods of drought and other stressors, impact the rivers’ resilience and fisheries, while also translating into increased potential for conflict among users. The August 2016 closure of 183 miles of the Upper Yellowstone River and its tributaries to all water-based recreation was a wake-up call to the fishing industry and other river users that: 1) business as usual will not suffice, and 2) there is the need to step up as advocates for – and stewards of – the river. The Program Guiding for the Future (G4F) is a program that provides advanced levels of knowledge and skill development for professional fishing outfitters and guides. The program’s goal is to inspire dedicated stewardship of aquatic ecosystems while increasing knowledge, professionalism, and ethics of fishing outfitters and guides as well as the fly fishing industry throughout Montana. Led by the Fishing Outfitters Association of Montana (FOAM), this program is part of a new continuing education program for fishing outfitters and guides in the state of Montana. G4F is a voluntary course of study and testing. Participating outfitters and guides will undergo a curriculum that strengthens competence, increases knowledge and skills, and establishes their commitment to helping steward the rivers on which their livelihoods depend. Participants in the course will be required to complete both an online portion consisting of eight modules as well as a three-day hands-on practicum. Students will be required to successfully complete all eight online modules consisting of selected reading and an exam at the end of each module prior to attending the three-day practicum. The practicum will build on the knowledge gained during the online portion of the course and will consist of both classroom as well as hands on instruction. At the end of the three-day practicum there will also be a series of exams that will test the student’s understanding of the material covered during the course. Successful completion of this course will provide participating outfitters, guides and fly shops with a set of credentials that distinguish them to outfitters, clients, other river users, and agencies. The deadline for applications is March 25, 2019. Students will have access to the online portion of the course starting April 1, 2019. Each module is estimated to require two hours to complete, including testing. The three-day in-person practicum will take place at the B-Bar Ranch in Tom Miner Basin on May 6-8.